May Tveit has long been fascinated and inspired by the materials and processes that inform and define industrial design. In her newest work, Tveit undertakes a deep research project to explore and investigate the ubiquitous cardboard box.Ever-present, multi-faceted, and totally under appreciated, the cardboard box is useful, sturdy, and elegant in its capacity to economically solve human problems: packaging, holding, hiding, protecting, transporting, keeping, and compartmentalizing the useful and useless contents of our lives. In sculptural works that monumentalize this most humble of materials, Tveit cuts, stacks, and joins flat generic/universal box template forms to create extraordinary, mysterious volumes that recall and reimagine ancient architectural shapes like pyramids and ziggurats. May Tveit has long been fascinated and inspired by the materials and processes that inform and define industrial design. In her newest work, Tveit undertakes a deep research project to explore and investigate the ubiquitous cardboard box. Ever-present, multi-faceted, and totally under appreciated, the cardboard box is useful, sturdy, and elegant in its capacity to economically solve human problems: packaging, holding, hiding, protecting, transporting, keeping, and compartmentalizing the useful and useless contents of our lives. In sculptural works that monumentalize this most humble of materials, Tveit cuts, stacks, and joins flat generic/universal box template forms to create extraordinary, mysterious volumes that recall and reimagine ancient architectural shapes like pyramids and ziggurats. 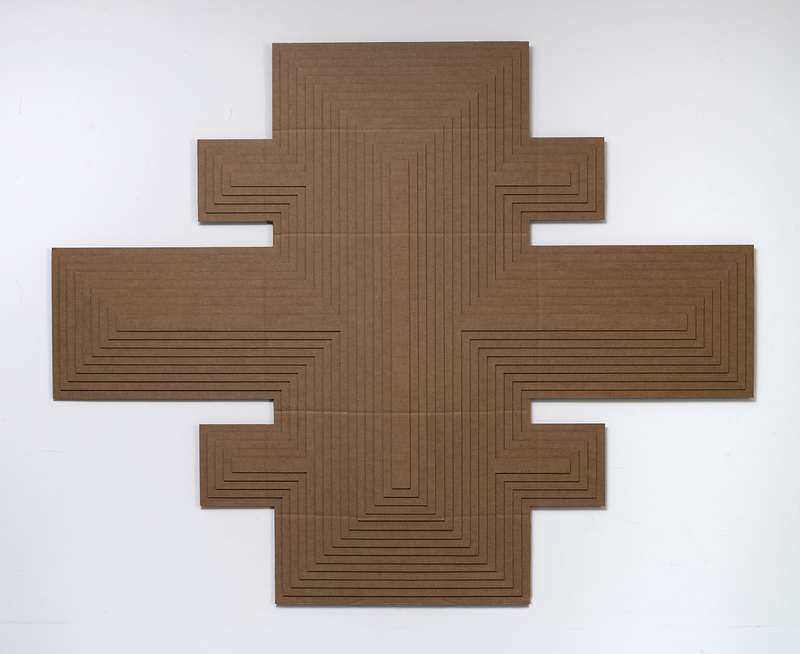 As a researcher and artist embedded within the Lawrence Paper Company, a 130-year old family business and manufacturer of corrugated cardboard and packaging products, Tveit has collaborated and intervened to create works that explore layers of memory, longing, and safekeeping. 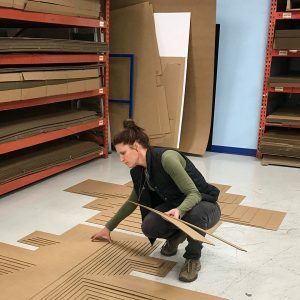 A graduate of Domus Academy in Milan, Italy, with a Master of Industrial Design in 1991, and the Rhode Island School of Design with a BFA in 1989, May Tveit has taught at the University of Kansas since 1999. Her exhibition will be in the Kansas Focus Gallery. *Information of the event is provided by Nerman Museum of Contemporary Art.